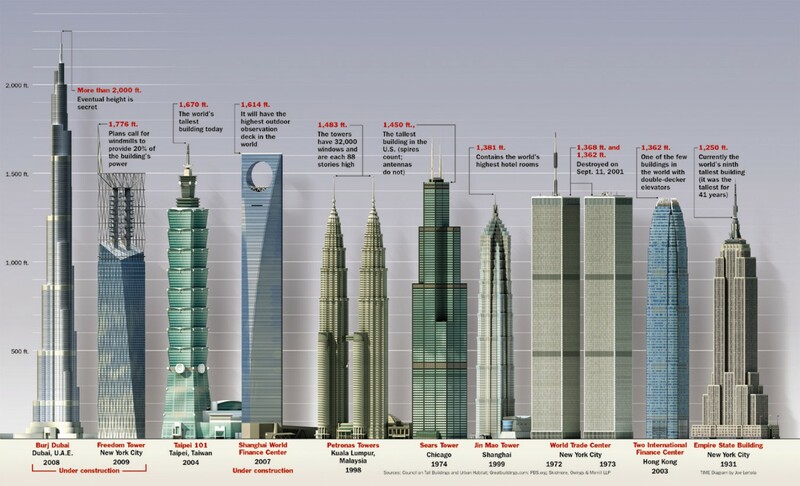 Skyscrapers are irreplaceable figure for urban life because it represents a country’s power and magnificence. Also, this kind of building is generally used for trade centers and hotels. However, it grips the tourist’s attention because people affect from its height and they will get excited about seeing these buildings. Thus, even you invest sizeable amount of many for construction of these buildings, you will have many ways to get back that money. 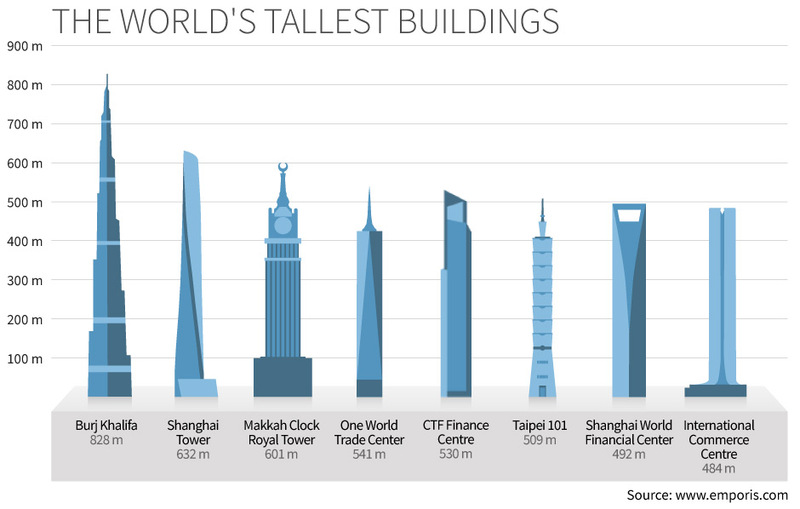 If we compare the list of tallest buildings in the world, you will see that there are many countries from all over the world. Before the writing, I thought that first five buildings should be from United States but I was wrong! If you also think that way, ready to be surprised! 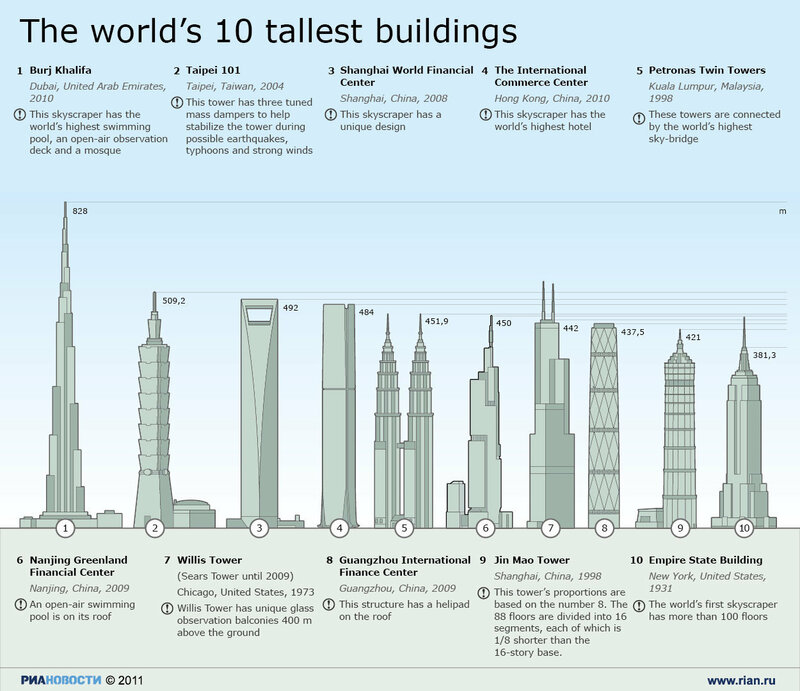 The tallest building ever is Burj Khalifa and it is located in Dubai. It’s construction take five years and completed in 2009. 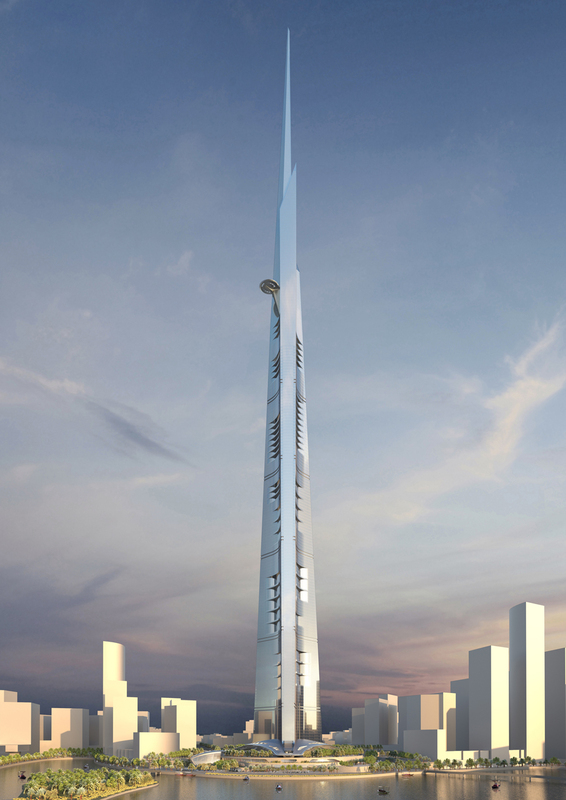 However, it opened officially in 2010 and its height is 828 meters. As I said before this buildings are for multifunction. For example, Burj Khalifa is used for shopping, residential and commercial usage. 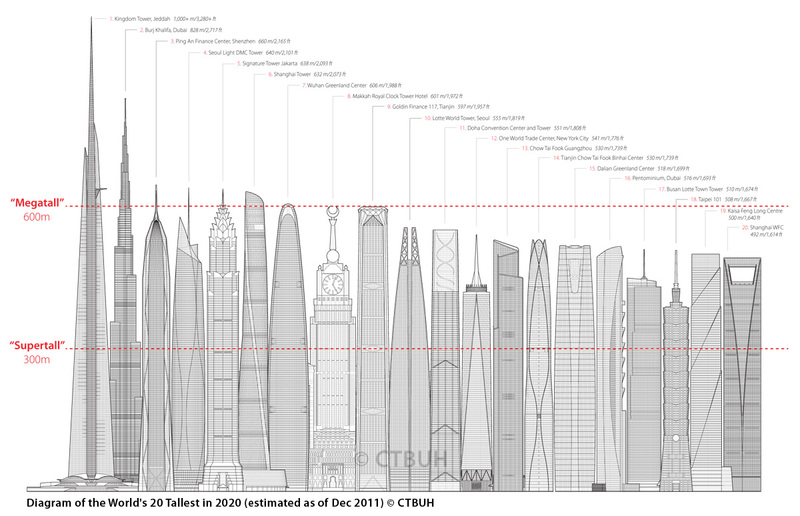 Also it has 163 floors above the ground and one floor under the ground. Because of this height every New Year is celebrated here and they display the world’s highest fireworks. 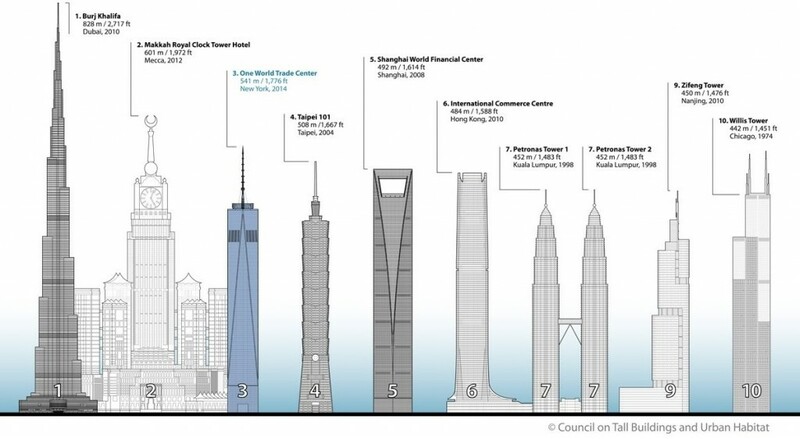 Second tallest building is from China and it was completed in 2015. 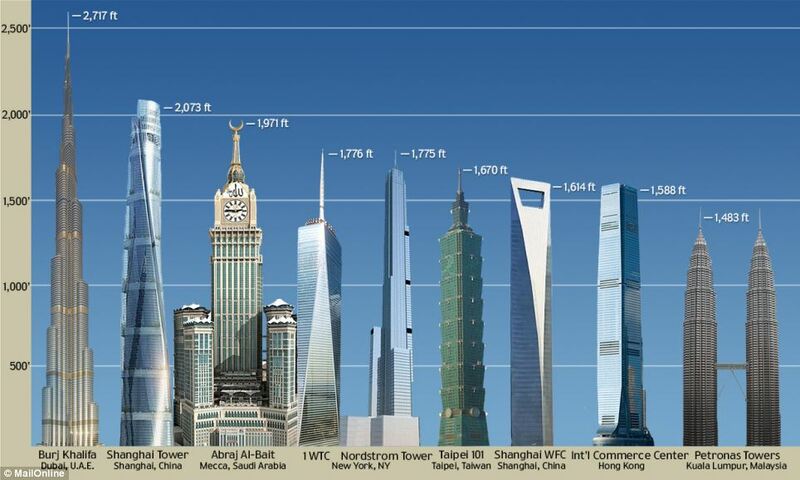 Shanghai Tower has 128 floors and there are five floors under the ground. 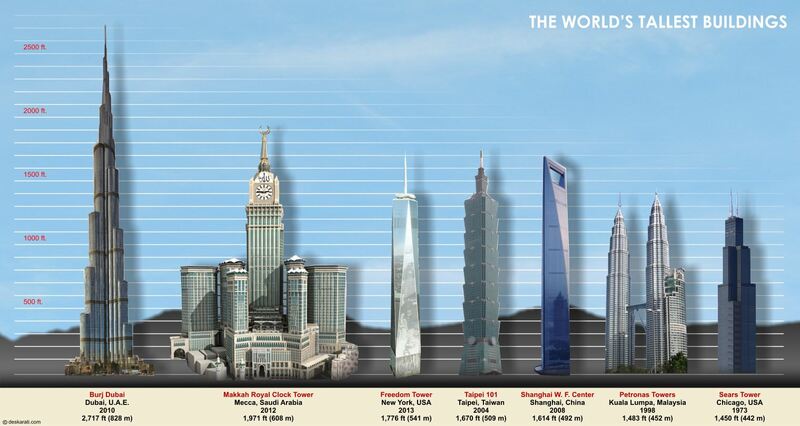 Its height is 632 meters also it is used for both hotel and office purpose. Third top building is again from Arab world: Saudi Arabia. Makkah Royal Clock Tower Hotel was completed in 2012 and Its height is 601 meters. 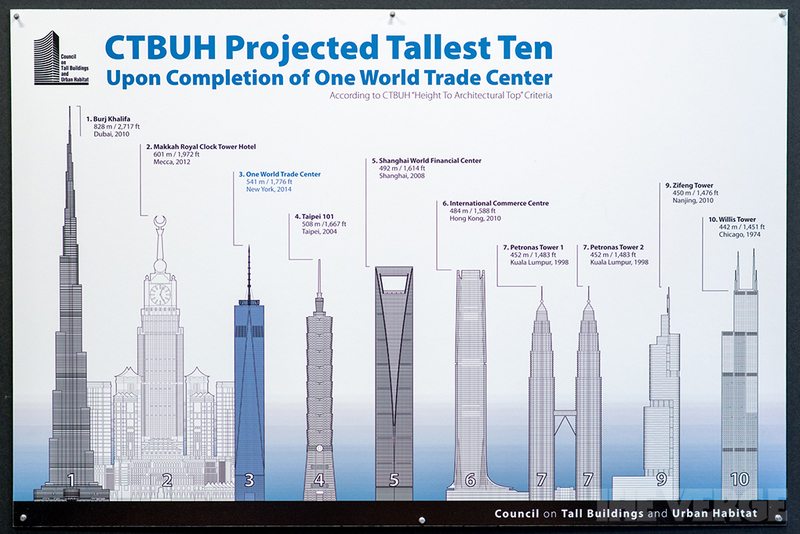 In addition, it has 120 floors above the ground. Overall, the top three list consist one chine and two Arab countries so we need to break our stereotypes about Western wealth and search for these beautiful places.